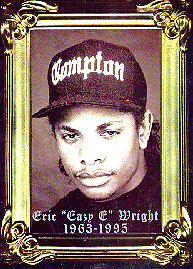 Born Eric Wright in Compton, California in 1964. After dropping out of high school, Eazy-E sold drugs for a living. In 1985 Eazy-E founded Ruthless Records with profits reportedly from drug dealing. He recruited Ice Cube, Dr. Dre, DJ Yella and MC Ren. In 1986 he formed the rap group N.W. A (Niggaz With Attitude) with Ice Cube, Dr. Dre, DJ Yella and MC Ren. N.W.A was known for rapping about violence, degrading women, and killing cops. Eazy-E was best known for his whiny voice. 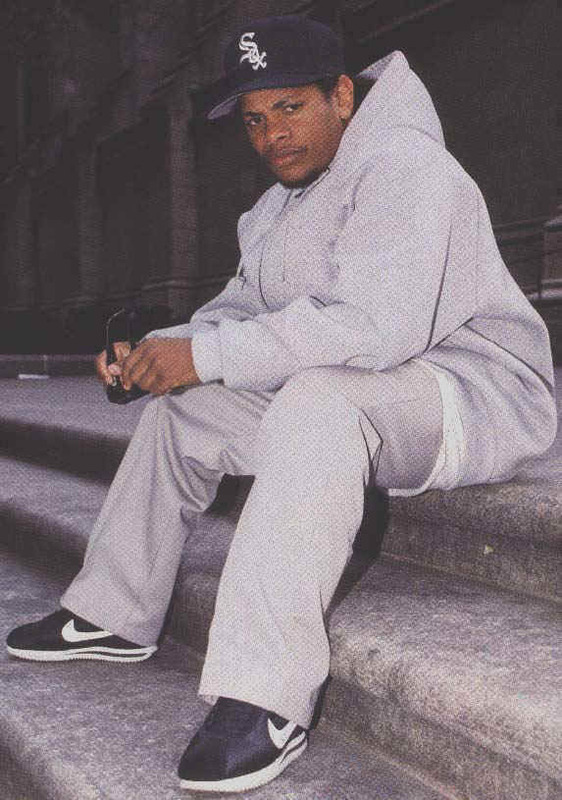 Eazy-E pioneered the creation of what is now considered "gangsta rap", he made Ruthless Records one of the most successful independent record labels of all time. In 1988 Eazy-E released his first solo album Eazy-Duz-It. The album sold half a million copies. When N.W.A split up in 1991, Eazy-E went on to a high profile solo career. Eazy-E continued running Ruthless Records, he produced Bone Thugs N Harmony, Above The Law, MC Ren, Michel'le and his own records. A month after being diagnosed with AIDS, Eazy-E died on March 26, 1995. He left behind seven children by six different women. His death made the rap industry aware of the dangers of AIDS.